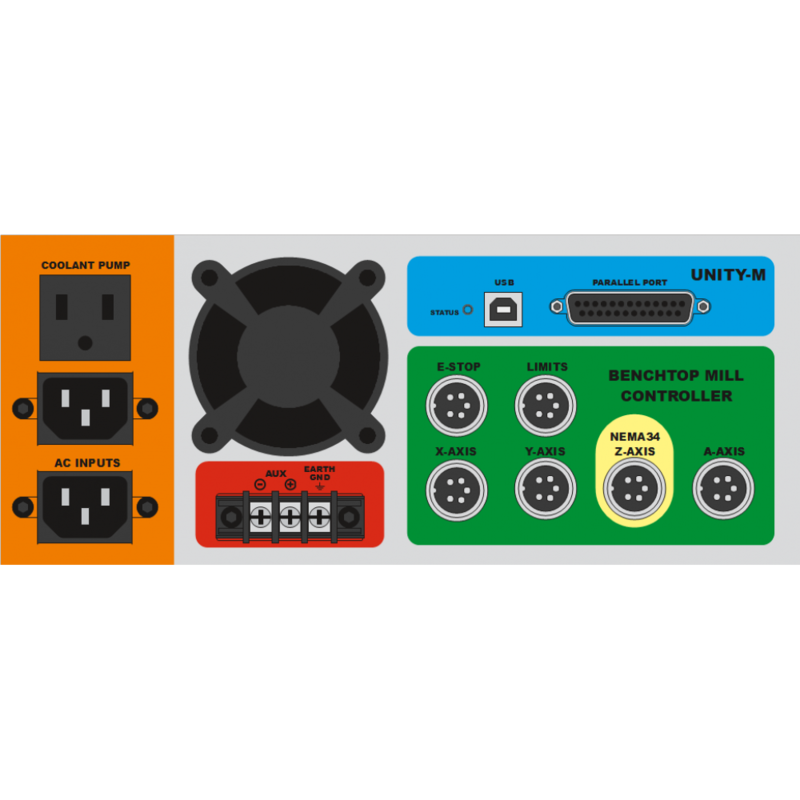 Unity Controller customized for use with bench-top mill conversions using a higher amp Z driver with NEMA 34 motor options. Can be used for 2, 3, or 4 axis systems. The PBX-MX is an isolated parallel port breakout board for use with software such as LinuxCNC or Mach3.